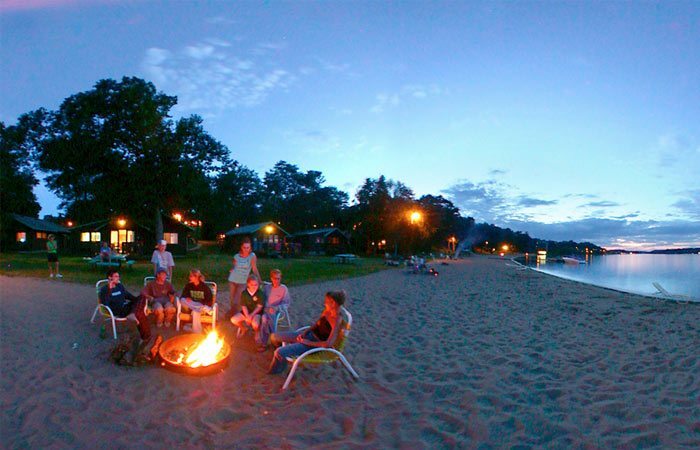 It’s a beachgoing tradition both timeless and simple: a bonfire to gather around with family and friends at the end of a long, busy day of playing at the lake. The fall and winter season means prime bonfire weather here in the northwoods–days are clear and nights are cool. So as sunset sweeps across the sky, settle down to listen to the fire crackle and watch its glow light up the faces around you. It’s one evening at the beach you’ll never forget. The North Beach has one 6 ft. ring and four 3 ft. rings on the sand and one 3 ft. ring in the grass area next to the lake. The South Beach has three 3 ft. rings and two 6 ft. rings.